First of all, you need to know the number of day you have to get this trip. 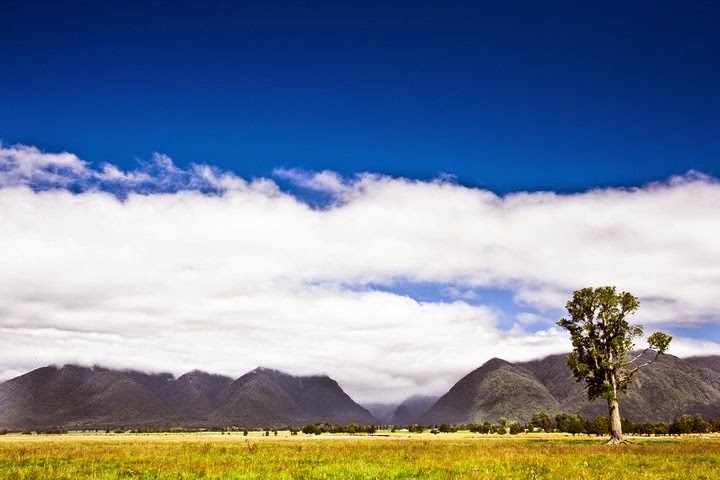 New Zealand is a really unforgettable beautiful country in the world. During my honeymoon, I had gotten total 14 days for this whole trip but only 12 days were spent in New Zealand, the rest of 2 days were in Australia for transition. I can say that that is definitely not enough, 12 days was TOO SHORT!!!! To me, 30 days is still not enough spending in south island of New Zealand. So, I urge you to get as many days as possible you can get!!! What I would like to suggest is to arrange as many days as you can in order to enjoy the amazing trip in your life. 2. Which part to visit? north/south island, or both island? North or South Island, or both islands of New Zealand? This is all depending on the 1st question above. Definitely, try to have a trip to go around of the both islands, it would spend more your time and much money but it surely would not be wrong!!! I decided to spend my 12 days in south island of New Zealand as there are more lovely natural and landscaping which I like it the best, I hoped to visit north island but unfortunately my time was too short, hopefully, I will visit her in my next coming trip in soon. 3. How many person goes along? I would suggest to have 4 or 8 friends go together which is more convenient to share the car and accommodation. 4. Is a budget trip? Depend on your monetary budget, you can choose to have a luxury or budget holiday. 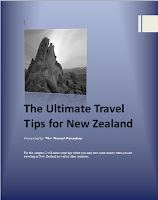 New Zealand is a paradise for the budget backpacker, the country has a consummate travelling system where there are many travel agents/vendors provide a prefect package to us. And there are I Site (information center) in every city for backpacker to obtain travel information, you are able to go everywhere in New Zealand as long as you know speak and read English, so convenient and easy!!! I choose my trip as budget as I am so POOR......however, this was a good try and taste the budget travelling. 5. Which period to visit? Spring-Spring can vary from hot and warm to frosty and cool. Rivers filled with the water of molten ice which provides an excellent opportunity for a white water rafting. Traveler can visit Alexandra in Central Otago and Hastings in Hawke's Bay famous for Spring festival. Summer-The best time of the year, is peak season, to visit New Zealand is the summer. Average temperature varies from 15 to 30+ Celsius during the long sunny days, but sometimes will go down to less than 10 Celsius depending the places you visit. Is the season for an excellent time for outdoor adventures like tramping, gliding and other beach activities or water sport. Autumn- The temperature some few degrees cooler than the summer. Some places like Central Otago and Hawke's Bay are worth visiting for scenic autumn beauty as the deciduous trees offer a kaleidoscope of changing leaf color. Has a colourful landscape. Winter-The mountain areas are covered with white snow and some places with a little rainfall. This is the ideal time for visiting glaciers and skiing.